Nigeria plans to extradite Diezani Alison-Madueke, the former Oil Minister of Nigeria, to face justice for her theft of billions of dollars of her country's oil revenue. 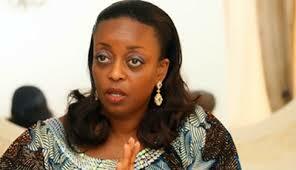 This action was disclosed this week by a member of the Economic and Financial Crimes Commission of Nigeria. She is presently living in the United Kingdom, where she is under investigation for money laundering. Alison-Madueke is perhaps the most egregious example of blind greed, on the part of any Nigerian government official, in modern history. It is a testament to the systemic corruption that has infected the country, and destroyed its image in the international community. In the Western Hemisphere, she is notorious for the fact that she bought a Dominica Diplomatic passport, for cash,which was hand delivered to her in London by the country's Prime Minister, Roosevelt Skerrit, after being arranged by Baroness Patricia Scotland. The circumstances surrounding that cash transaction, when it became public knowledge, fueled outrage among Dominica's voters, who openly accused PM Skerrit of pocketing the payment. In Dominica, there are no records that any payments made in connection with the sale of diplomatic passports were ever deposited in the country's treasury. When Alison-Madueke was detained by British law enforcement, she produced her Dominica diplomatic passport, claiming diplomatic immunity, notwithstanding that she had no appointment to represent Dominica in the UK. Her claims were dismissed, for being legally insufficient. Diplomatic passports continue to be a major problem when they are sold by corrupt government officials to the world's criminals, who then attempted to cheat justice by interposing their passports, to evade the rule of law. They use the passports to commit crimes, especially money laundering, and the United Nations, many of whose members have officials profiting form the illicit sales of passports, ignores the problem. It refuses to enforce the Vienna Convention on Diplomacy, and corruption reigns as the result.